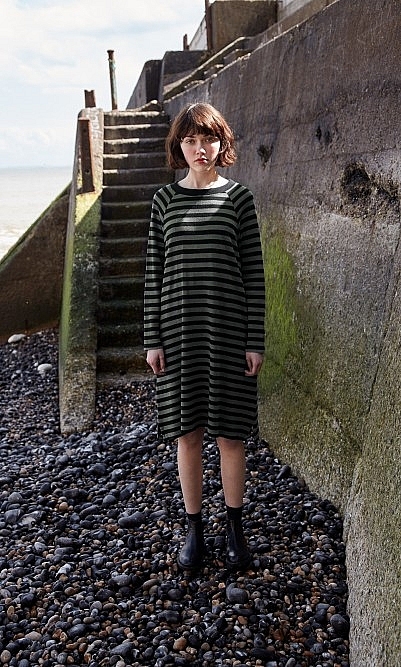 Cut long and lean, this effortless grey-marl sweater dress has side-hem slits and a waist defining narrow tie belt. Ribbed-knit neck and rolled cuffs. L115cm.